Real Madrid completed a 5-0 thrashing of city rivals Atletico in the Copa Del Rey semifinal of Tuesday night, and in doing so Los Blancos set a new record in Spanish football history. 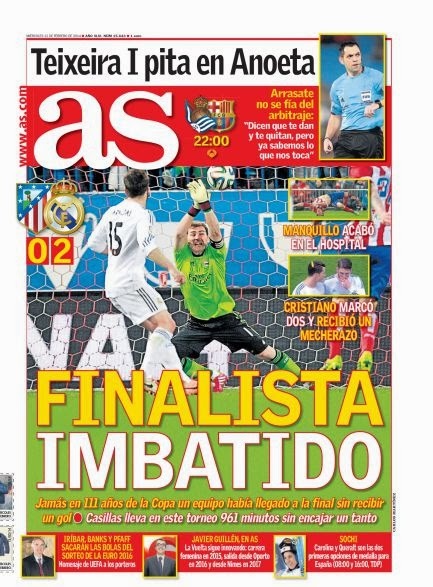 For the first time in over 100 years, Real have qualified for the Spanish Cup final without having conceded a goal. The achievement of getting to the final without having let in a goal had previously been recorded by Barcelona in 1912 and Athletic Bilbao in 1916. Noticeably, Iker Casillas, who has found himself playing second fiddle to Diego Lopes at the Bernabeu for two seasons now, has played in goal for all eight games in the Copa Del Rey. Another brilliant statistic for Casillas is that the Champions League, World Cup and European Championship winner has not lost any of his 26 matches against Atletico Madrid in all competitions (20W & 6D). 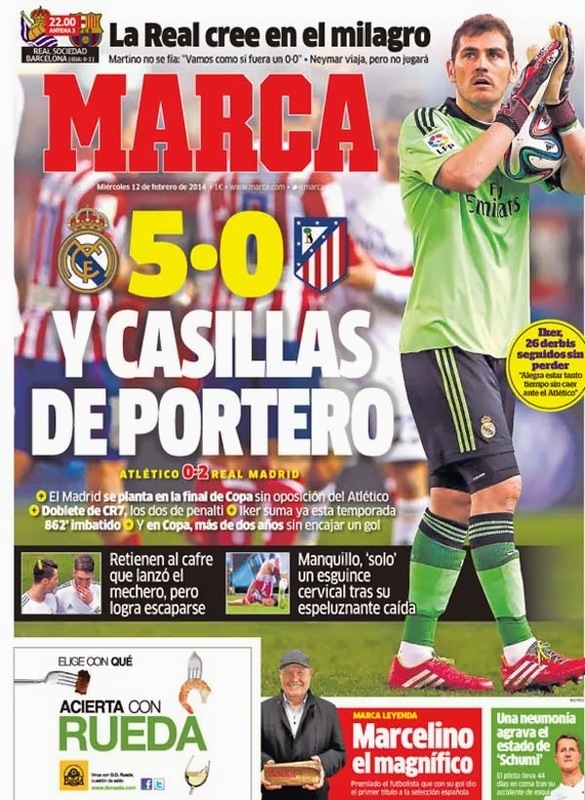 Below are the front covers of Marca and AS on Wednesday saluting the achievement of Iker Casillas and Real Madrid.